Marc is an insightful, solutions-driven executive with 20+ years of success planning and coordinating large-scale projects, programmes, and business process improvements for various organisations. Well-equipped with M.S. in Information Technology and Prince2 & ITILv3 Certifications. Projects consisted of implementations of applications, set-up of new infrastructures, migrations and connections to third parties. Chantal has conducted and guided several transitions as change manager in private companies and government organizations. She is a no-nonsense hands-on change management expert and a driving force of change and transformation projects who will use her passion and charisma to encourage organizations to start moving. 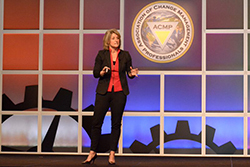 Chantal is a certified ACMKC change management practitioner and trainer. Cécile Demailly is a consultant focusing disruptive change within large companies. She brings corporate knowledge together with research focused on the needs of the corporations she works with. Her expertise includes stimulating areas such as collaboration and collective intelligence in corporations, organisational neurosciences, and technology adoption. She is currently researching the impacts of the digital transformation on middle management. Prior to creating her consulting practice Early Strategies in 2008, she worked for 20 years in executive and management roles in IBM, AT&T and GE. She holds an MA in Business, Oxford/HEC’s executive Master in Consulting and Coaching for Change (CCC), and a degree in neurocognitive and behavioral psychology focused on organisational practice. Cécile is the Chairperson of the Change Leaders, an international community of change practitioners, a former board member of the European Professional Women’s Network federation, and a visiting lecturer and executive coach at HEC Paris. She is a regular writer on technology adoption and organisational change subjects. Jan De Winter, owner of DWT Consulting, is an independent consultant active in organizational change related to large IT-projects. Typical consulting missions Jan is active in, deal with the reorganization of an HR direction while implementing an HR IS in government institutions, or the outsourcing of the procure-2-pay process in a chemical company, or the creation of a network organization in a NGO-environment. Jan is also active as a researcher at the Antwerp University focusing on possible improvements in the preparatory phase of change projects. In his research Jan combines methodologies from totally different domains, like ‘dialogical organizational development’ and 'enterprise engineering'. Jan has a master degree in Organizational Psychology (KU Leuven, 1988), an executive Master in Business Administration (AMS, 2000), a certificate in Enterprise IT Architecture (AMS, 2009) and the ‘AI Certificate in Positive Business & Society Change’ (Weatherhead School of Management CWRU, 2013). I look at organizations as communities to develop, not as machines to fix. Co-author of the SAP PRESS book Managing Organizational Change During SAP Implementations. Founder of the largest online community of Organizational Change Practitioners (LinkedIn Group). Guest Lecturer at the Harvard School of Public Health. Co-founder of Pensato; a new way to discover the essence of leadership through the metaphor of music. Together with my wife Reen we are living the dream of starting up a business of hand-made chocolate pralines and macarons de Paris. My slogan is: "If you can’t explain it to your grandmother, forget it." I work hard every day to stay true to it. Here is a link to his LinkedIn profile. Stephanie is the Programme Director responsible for the Odyssey Transformation programme at SBM. The programme team includes 8 project managers and a mixed team of over 50 permanent staff and external specialists, reporting to Stephanie. In her previous role as the Finance Director for SBM’s Monaco headquarters she led several organizational change and financial systems projects before being asked by the new CEO to set-up and lead the Odyssey programme. Stephanie is a passionate advocate of change management and is a certified practitioner in Prosci. She has dedicated a significant amount of her own time, working with the businesses to strengthen their own change management capability and readiness for the Odyssey changes. David has spent the last 25 years helping major organizations to build the change management capabilities they need to execute their strategies successfully. During this time Changefirst have worked with over 250 organizations in more than 40 countries around the world. Their Enterprise Change Management platform - e-change® gives their clients access to change education, tools and roadmaps as well as to one of the largest change management databases in the world. David is a prolific writer and blogger. He is also a much sought after speaker. He synthesises and shares the lessons Changefirst has learned from working with major clients around the world. He utilizes data and vivid stories to bring his presentations to life. 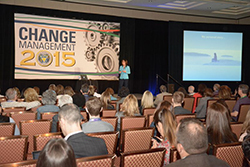 His book - 'Successful Change’ – is recognized as a major contributor to the profession. His new book ‘Closing the Change Gap - How to prepare your organization for continuous change’ is being published in early 2016. Chris is a Director of CMC Partnership, providing the change management services for the Odyssey programme. CMC were involved at the outset of the programme; training SBM’s project managers in change management before setting up and running the change management office for Odyssey. Chris is an experienced project and programme manager, as well as a Prosci Certified Instructor. Heidi is a freelance professional with a strong expertise in change management and communication in many different types of industry. By inspiring and working with others she is able to produce clear, measurable results that her clients appreciate very much. Ranging from the development of change management strategies and communication plans to the development of business strategies, annual plans and budgeting. Koen Vandeghinste has +20years experience in IT Management and IT Service Management. He is specializing in bridging the gap between business and IT. When he started working for ENGIE (former GDF Suez), he took the role of Program and Project Manager. In this role, he managed several projects (mostly workstation related).